In June 2013 I worked on a way to catch the attention of prospective internship locations in England. 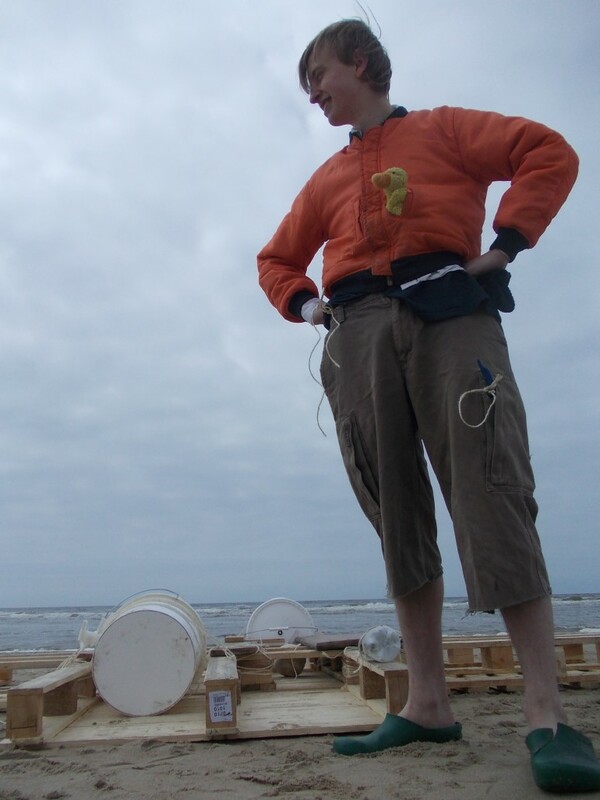 With the help of Gijs Blaauw and Ernst-Jan van Melle, we collected scrap pallets from a warehouse, drove to Zandstad (Netherlands), and built a raft. I got ready, and pushed the raft, the HMS Flotsam, into the English Channel. With a borrowed GoPro camera strapped to my head, and an Impromptu Wifi Device made from an old CD drive and half a mobile phone, I sent videos to my prospective internships, belaying them of my mission to cross the Channel to get to England. Needless to say, it resulted in a mild case of seasickness, and an internship with the London interactive theatre company Coney!